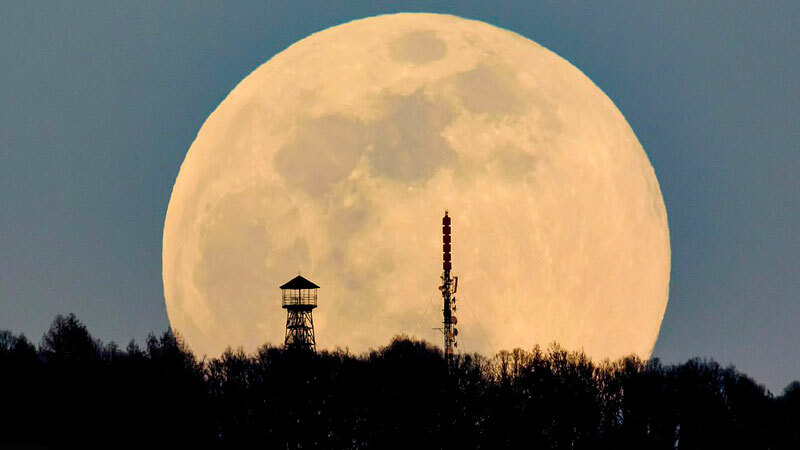 The supermoon will appear brighter and larger today stated the Sri Lanka Planetarium. An ultra-rare Super Worm Moon has risen into horizons across the world tonight to coincide with the spring equinox. The Worm Moon is the first full moon in the month of March and this is the first time since 1905 this has coincided on March 21. The supermoon is also dawning around the same time that an asteroid is passing by the Earth's surface. A phenomenon of a supermoon occurs when the full moon coincides with the moon’s closest approach to earth in its orbit. Supermoons make the moon appear a lot brighter and closer than usual. The planetarium added that people living near coastal areas are the best positioned to observe this phenomenon.